People of all ages took part in the calf scramble in the arena at the Wyandot County Fair Sunday afternoon. 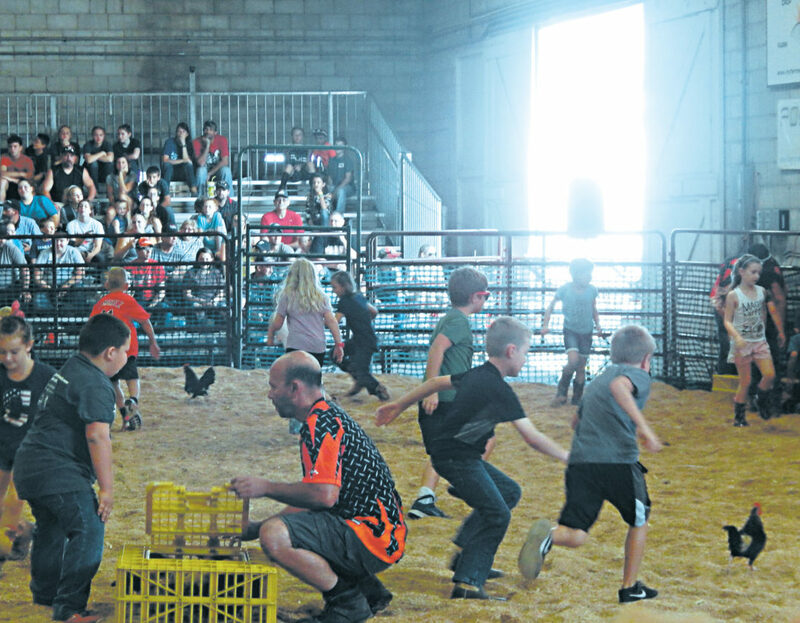 Chad Gottfried, a member of Wyandot County Fair Board, said the scramble included three divisions: children 9 and younger in the chicken scramble, children 9-14 in the lamb scramble and contestants 15 and older in the calf scramble. The scramble has been around at the fair for four years and has always included the three divisions, he said. Gottfried said the divisions are limited to about 25-30 people in the calves and lambs division, however, chickens really have no limit. Gottfried said the divisions usually are full and the event packs the arena. It’s always important for people to come early and get a good seat, he said. Tyler Weatherholtz, 23, of Wharton, said he’s participated in the calf scramble since it started. He said he caught a calf the first year. Gottfried said a company comes in and brings the animals with them, but there are all kinds of businesses that donate money for prizes. He said the donations ranged from $50 to $500. “Whatever calf (participants) win or the one they pick through their heat, there is a money tag with that calf and that is what they win,” Gottfried said. He said lambs also have money tags, but the winners in the chicken division get a water bottle and candy.